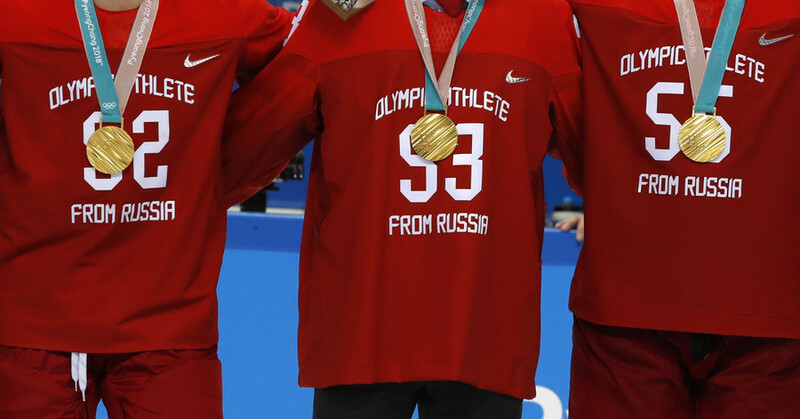 President Vladimir Putin has thanked Russia’s ice hockey gold medalists for singing their national anthem during the PyeongChang Winter Olympics medal ceremony. The team did so in defiance of a ban imposed by the IOC. “We heard our players singing the national anthem. Thank you very much for your respect to the country and for your attitude towards the sport to which you have dedicated your lives. Millions of people celebrated your victories as much as you did,” Putin said, according to TASS. “Our athletes said that we had been stripped of many things. That’s true, you can be deprived of anything, including national emblems, but it’s impossible to take away your character. “You have proved it with your results and with your attitude to the country. This was very bright and beautiful; I was overwhelmed with pride when I watched your performances,” he added. 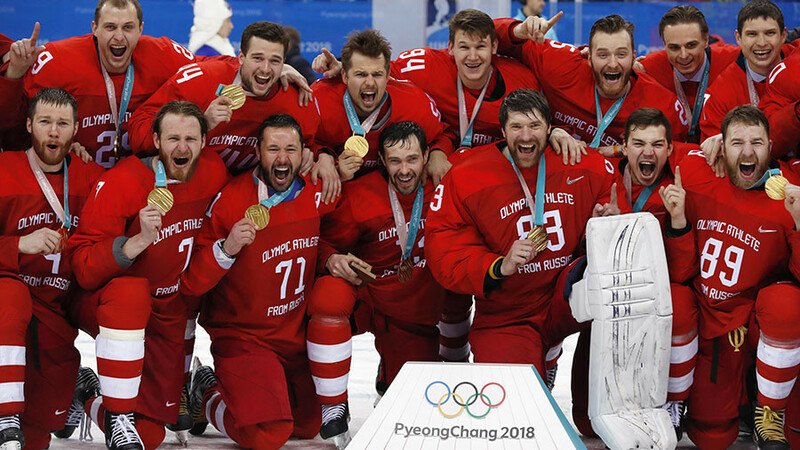 Russian ice hockey players, competing under the name Olympic Athletes from Russia (OAR), beat Germany 4-3 in an overtime thriller to claim their first Olympic gold in 26 years. 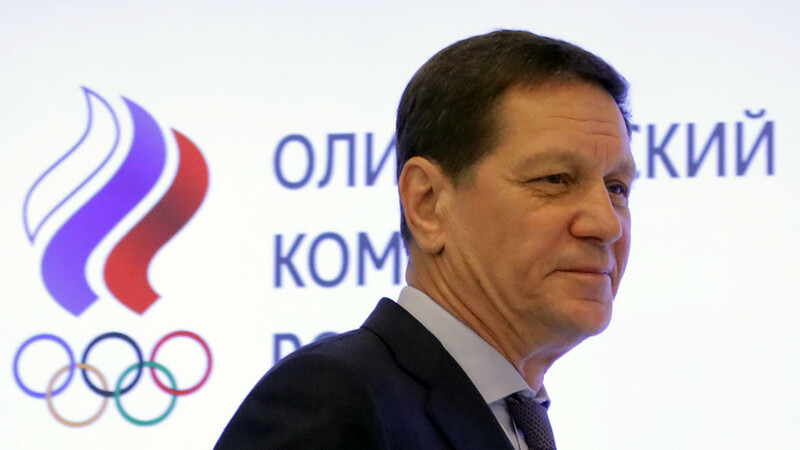 OAR athletes were obliged to compete as neutrals in PyeongChang, in accordance with the International Olympic Committee (IOC) ruling to suspend the Russian Olympic Committee (ROC) amid allegations of state-sponsored doping. OAR members were prohibited from accepting national flags from the crowd, showing national symbols on social media or singing the national anthem inside an Olympic venue. Despite the sanctions, the Russian players defied the IOC ruling on Sunday by singing their anthem along with jubilant supporters. However, the IOC decided not to penalize the team, saying in a statement they understood the “over-excitement” of the players. 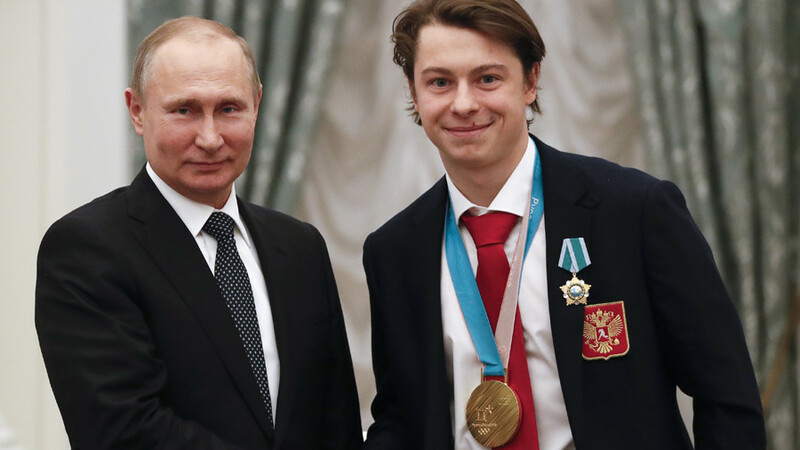 Putin traditionally greets Russian Olympians in the Kremlin and presents state honors to medalists. The Russian athletes who had been forced to compete in PyeongChang as neutrals brought home a total of 17 medals – two gold, six silver and nine bronze.